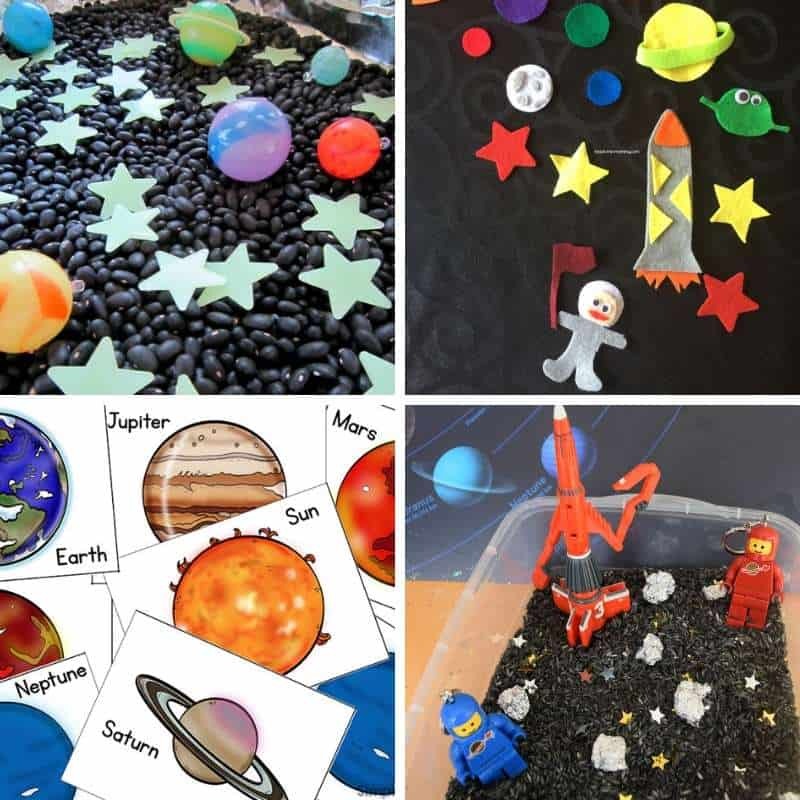 Space is a topic that children of all ages just LOVE! 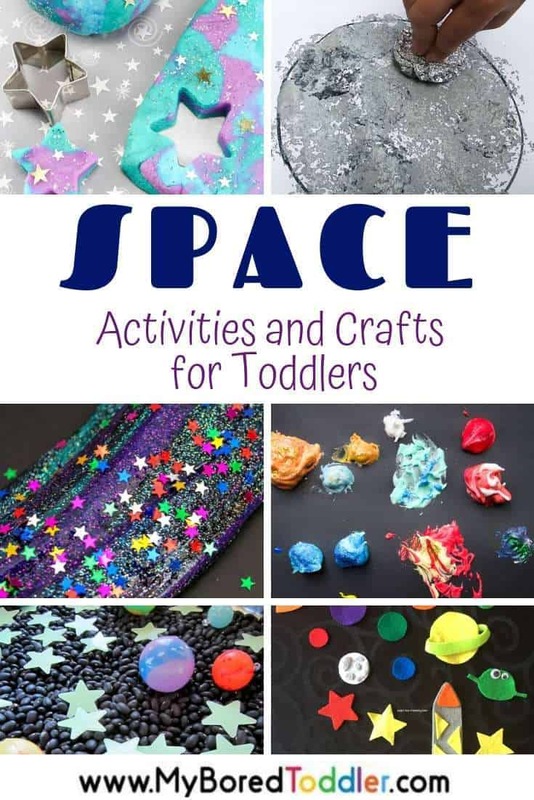 This collection of space activities and crafts for toddlers will keep them busy and inquisitive for hours (well maybe 20 minutes or so – we all know the attention span of a toddler!). 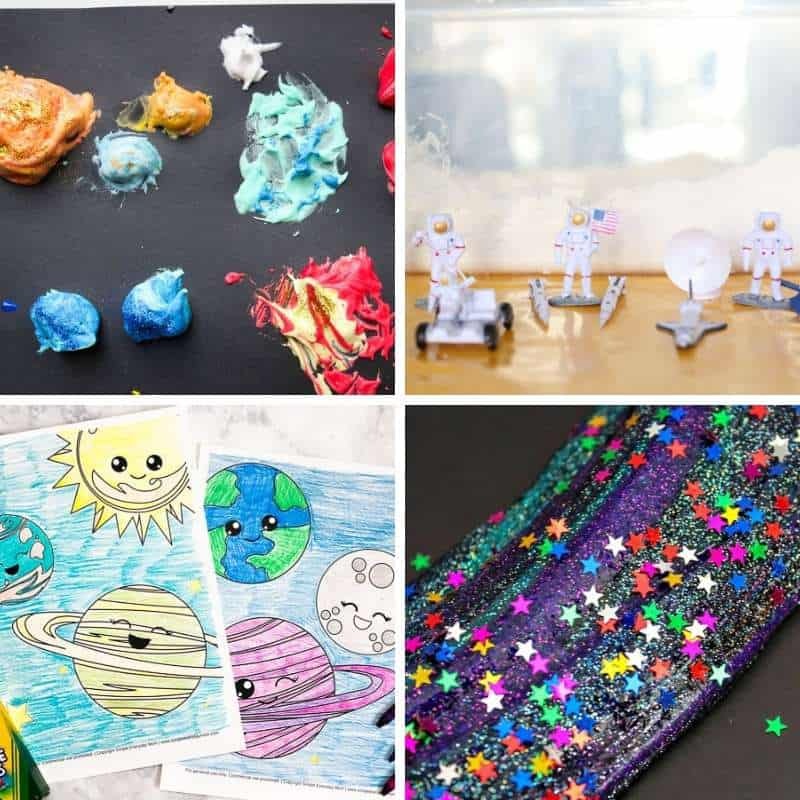 As a teacher, I’ve taught many topics to many different age groups and space is up there as one of the most popular – with all ages and both boys and girls. It is in close competition with dinosaur activities as the favorite! There is something about the topic of space that children are fascinated with. They ask so many questions and get so involved. 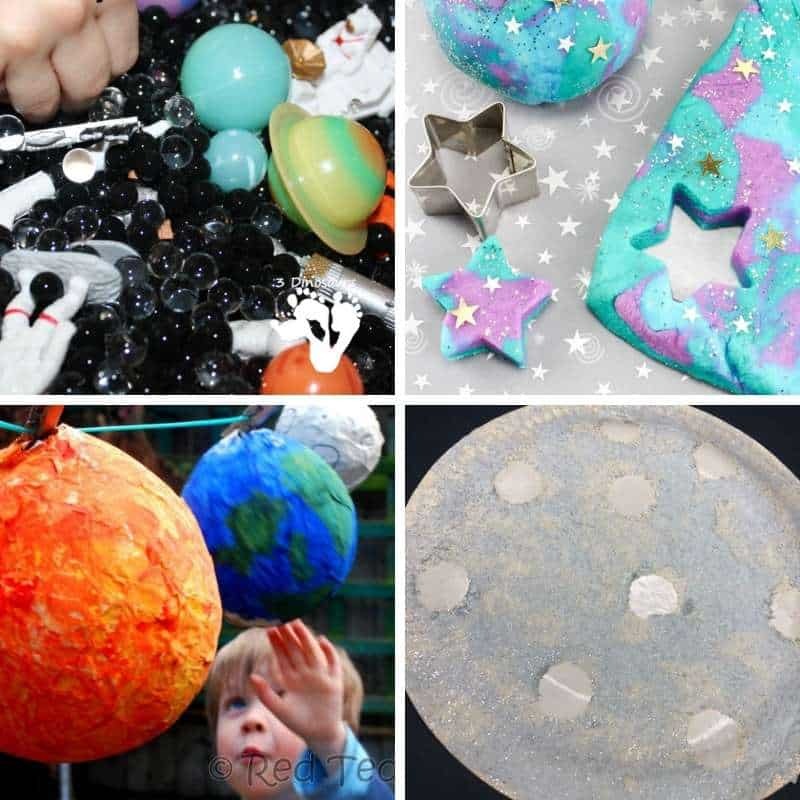 Don’t think that your toddler is too young to learn about space. Take them outside and show them the moon. Tell them that someone has been there – that will blow their minds. Get on YouTube and show them a few clips of astronauts and rockets taking off. I guarantee they’ll be interested! The NASA for Kids website is a wealth of information. Did you know that astronauts even read children’s books from space? I’ve added a clip below of astronaut Mike Hopkins reading Max Goes to the Moon (you can get that book HERE if you like). Even thought the book is aimed at a slightly older audience the fact that he’s reading in space is very cool! 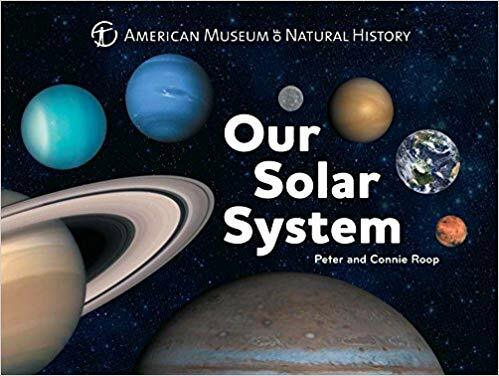 If you’re looking for another great toddler space book then I recommend Our Solar System from the American Museum of Natural History. 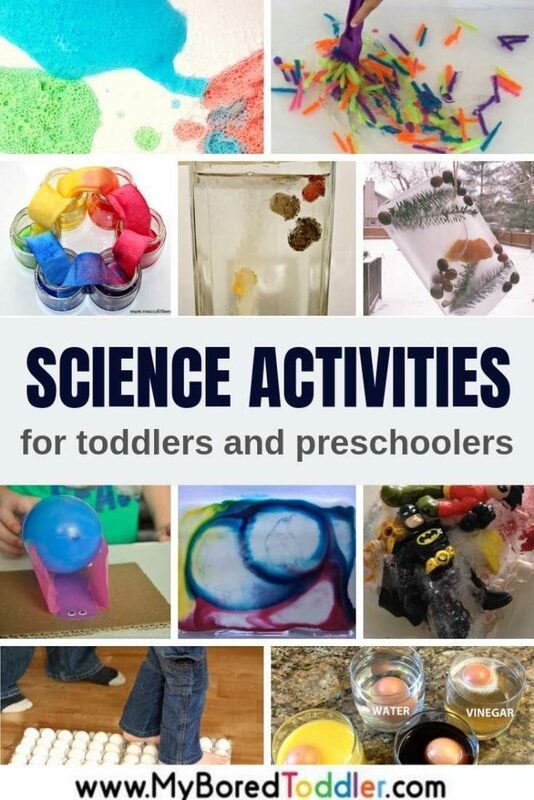 It’s perfect for a younger toddler and a great way to get them excited about Space. You can get this book HERE on Amazon. 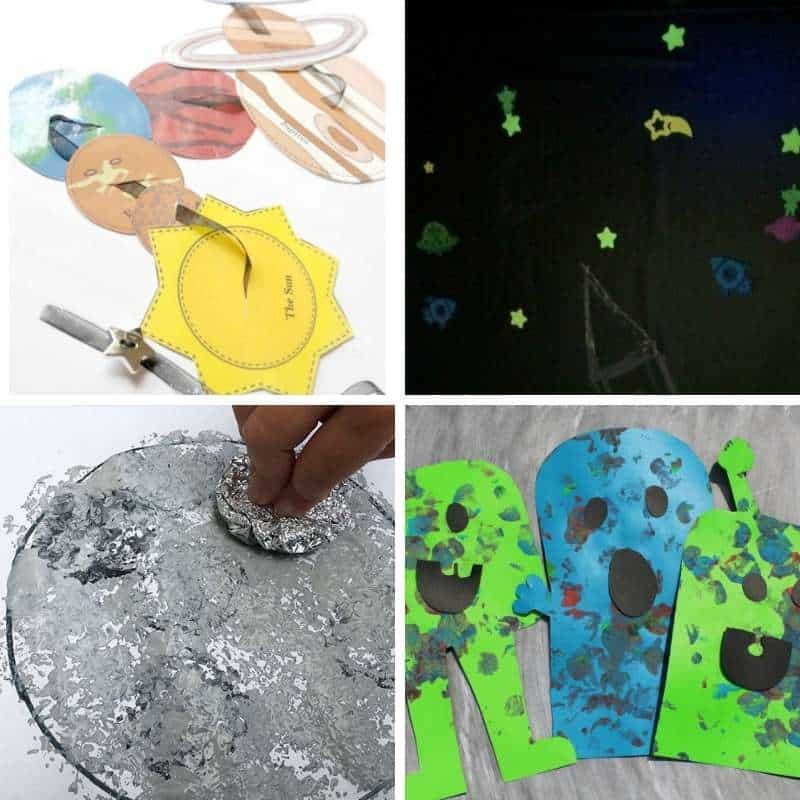 Let’s get started with some fun toddler space activities and crafts. 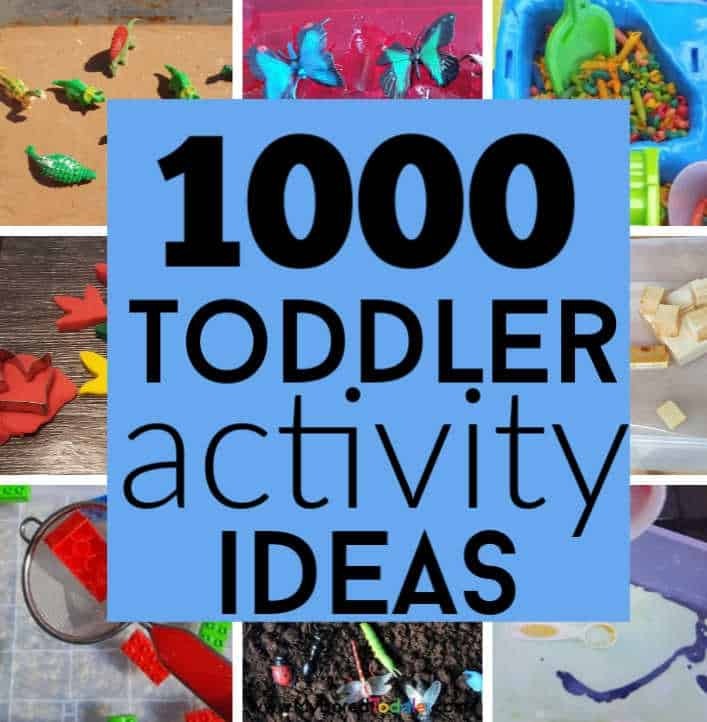 Remember, if you enjoy these toddler activities we would love for you to share a photo in our Facebook Group or on Instagram (follow @myboredtoddler and use #myboredtoddler so we can see!). 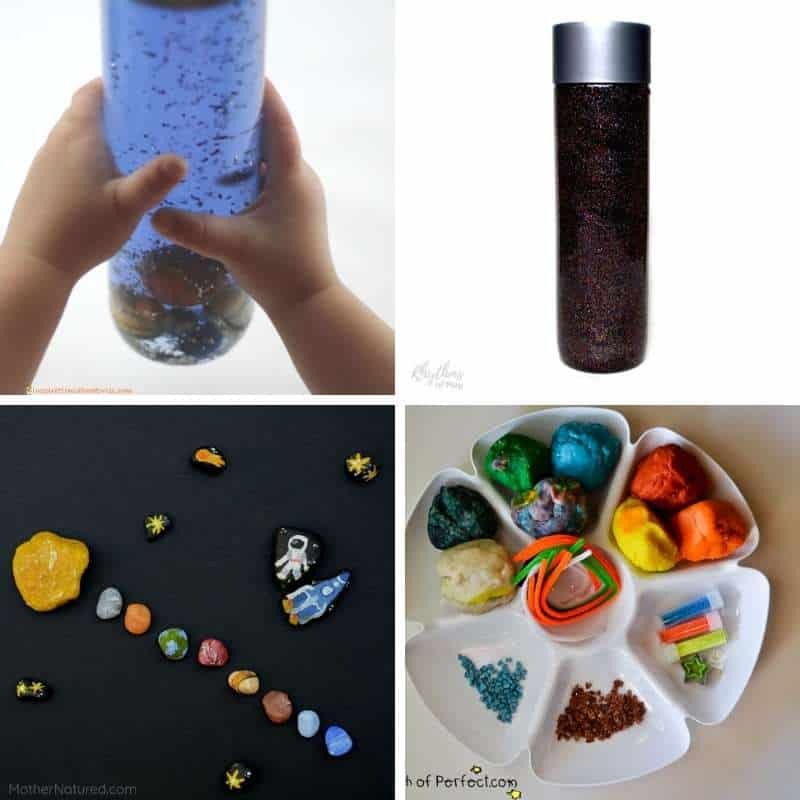 I hope you have enjoyed these toddler activities about Space as much as we did. Remember to share your photos in our Facebook Group or on Instagram (follow @myboredtoddler and use #myboredtoddler so we can see! ).